Cucumbers are a garden staple for us. We have been growing the Middle Eastern Zagross variety from Fedco Seeds for years. 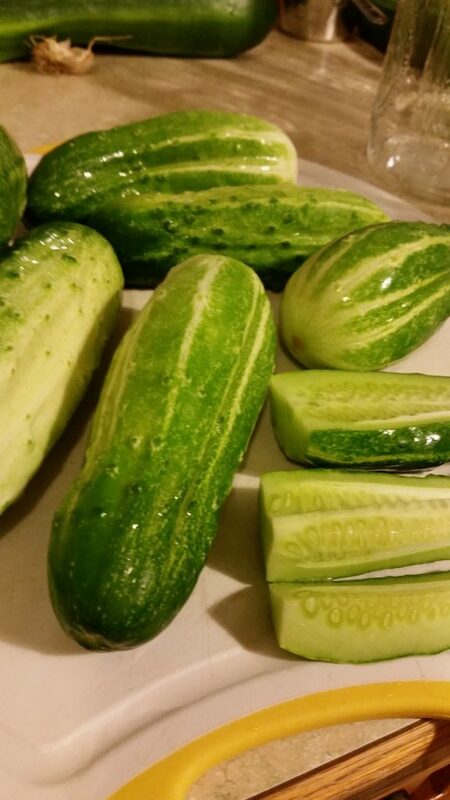 Last year, friends gave us a few pickling cucumber plants, and they produced well enough that we decided we ought to try pickling. 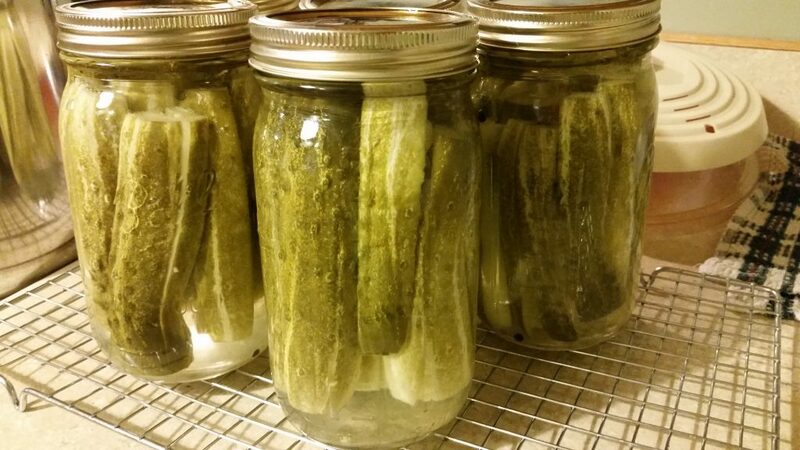 Do you have any idea how many pickling processes and recipes are out there? Even if you narrow it down to dill only? A FREAKING TON!!! We decided to try both refrigerator pickles and canned pickles. 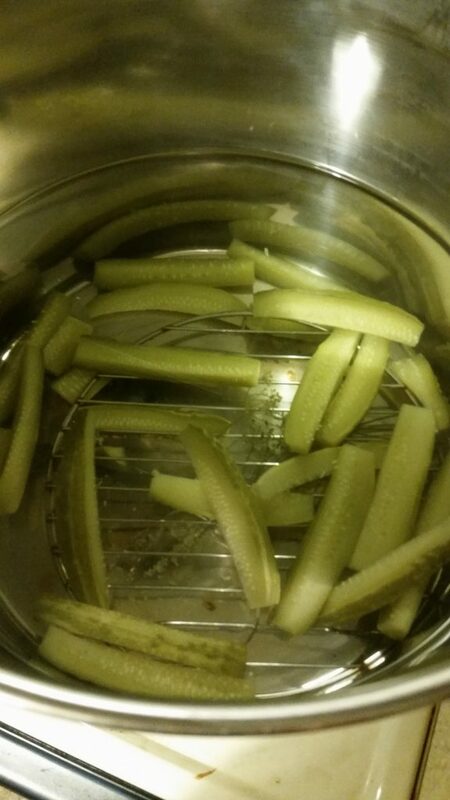 Refrigerator pickles are certainly easier, given that there’s no boiling water/canning bath involved. They were tasty, but not our favorite. 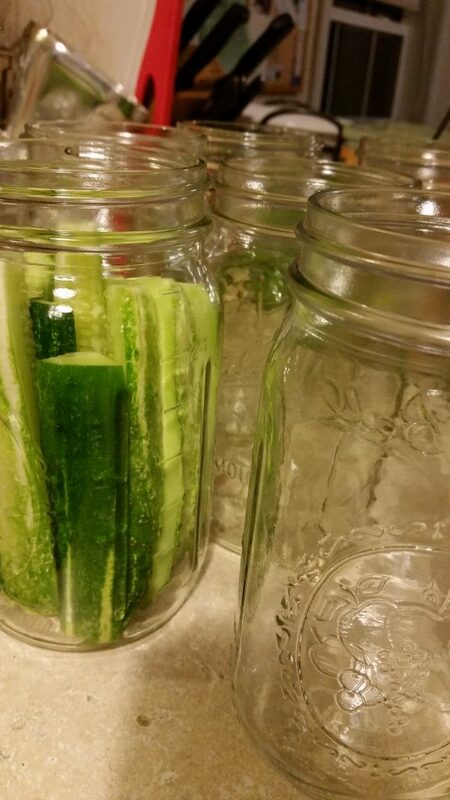 A few weeks later, we went for the big process of canning pickles. We went with the Rodale recipe. I have to say, that one of the more difficult parts was fitting cucumber slices of all shapes and sizes into the hot jars in a rapid manor. 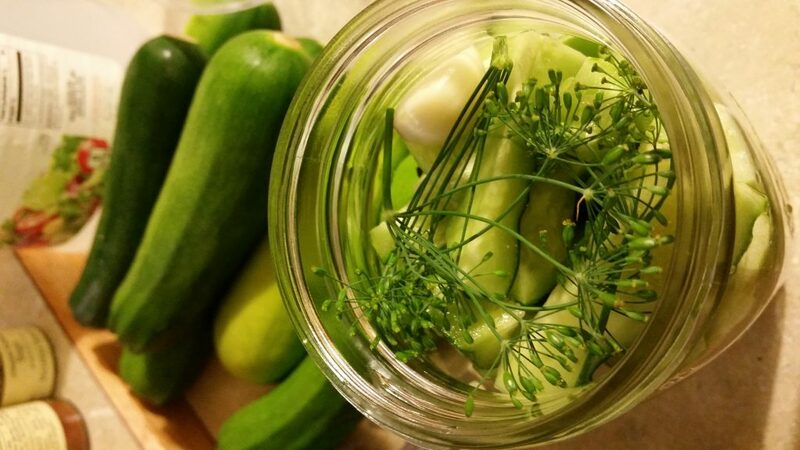 We had enough dill from our garden to use in all of the jars. I love dill and I think it’s beautiful. Luckily, it was only one jar, and that was our only loss. We will be adding these to the annual canning list, for sure. I think they’re just a tad on the salty side, but everyone else who has tried them, gave us thumbs up. 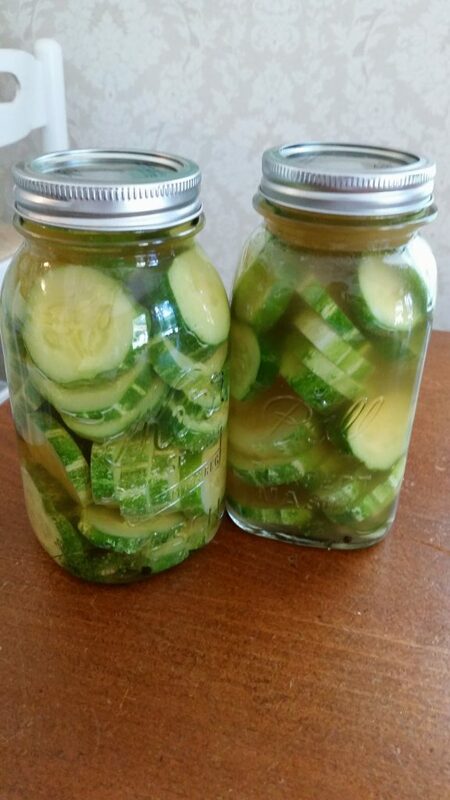 This entry was posted in Garden Adventures, Kitchen Adventures and tagged adding to the canning repertoire, canning pickles, garden adventures, kitchen adventures, pickle canning oops by Mara. Bookmark the permalink.